A Blade of Grass is a new philanthropic foundation that supports artists and organizations innovating beyond the gallery context, and creates interdisciplinary programming to foster broader, more inclusive contemporary art dialogue. The foundation funds New York-based arts organizations that are finding new audiences, purposes, and distribution channels for contemporary art. 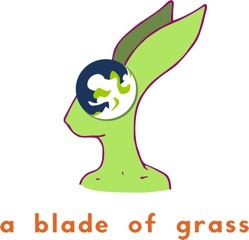 Flux Factory is thrilled to be one of the initial recipients of a grant from A Blade of Grass, along with More Art. This year we have been awarded $20,000 for general operating costs and capacity-building initiatives. Thank you for funding vital cultural production, A Blade of Grass! Flux City 6 is a four week cycle of city creation and destruction and rebirth and cataclysm and phoenix-rising-from-the-ashes and Godzilla-traipsing-in-from-the-sea-in-a-breath-of-fire-and-chaos. Apply Now!! Pauline Pechin’s Blog Read the original here.